The year 2010 started really well for both of us, travel-wise. 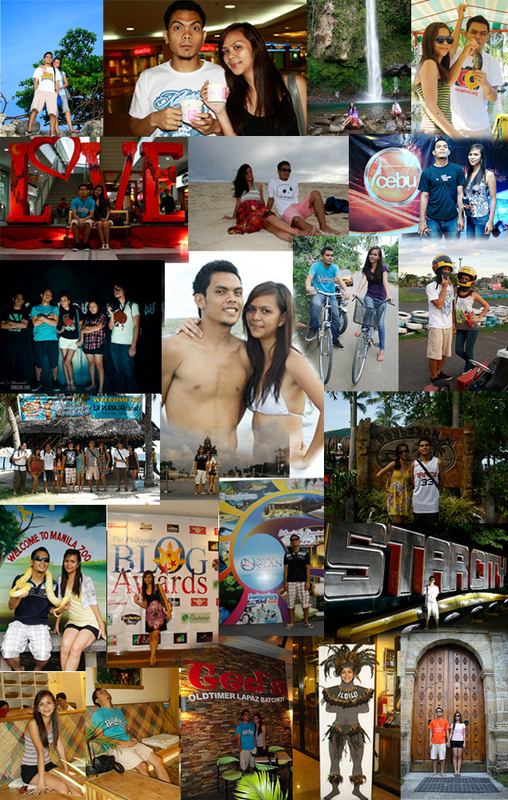 It was the first full year of fun and travel. From eating my first yogurt, to our first airplane ride, first time being out of the Visayas Region, first time to watch a movie from a movie cinema outside any cinemas from Cebu, seeing a walkator, getting almost ripped off 2,000 PHP from a kalesa driver, to meeting Sheena’s relatives in her mom’s hometown, having my beloved cellphone snatched in an LRT by God-knows-who, getting nominated as one of the finalist in the Philippine Blog Awards – Visayas Best Travel Blog, to winning Top 5 Best Cebu Blogs of 2010 and many many more. 2010 was a good year for The Wandering Couple. We had to mellow down a bit by middle of the year as both of us re-enrolled in College to bag that 4-year degree but we did end the year with a trip to Manila and Iloilo. Our travels/mishaps together brought us closer and made our relationship much stronger (stronger than He-Man and Hercules but I think not as strong as Superman). Here is 2010 in pictures. 2010 was a very eventful year and hopefully, 2011 will be “unevenfuller”, or better yet, “uneventfullest”.